Quality dog products Waterproof dog coats for different breeds including dog coats for greyhounds, whippets, lurchers and dachshunds. 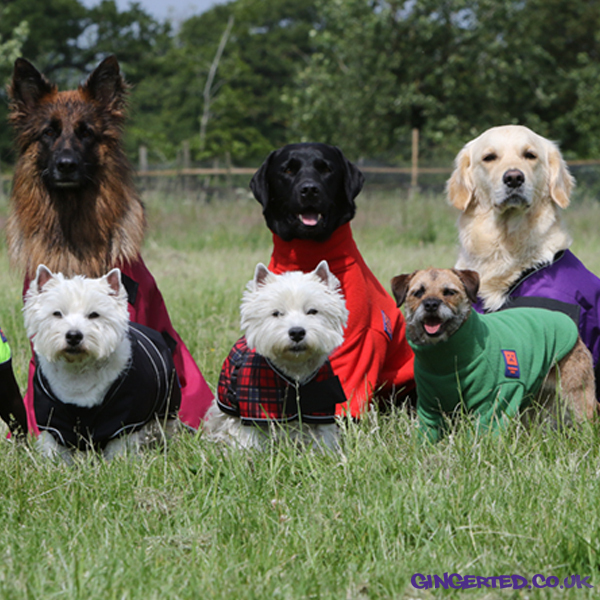 Dog cosy fleece jumpers, pet beds, snug beds, waterproof mattresses and travel products to protect your car. Testimonials are curated by Ginger Ted Ltd and are not independently reviewed or verified. "Pleased with well-fitting, quality Dog Coat from Ginger Ted Ltd"
"Dylan in his smart new and well-fitting coat from Ginger Ted Ltd. Really pleased with both the quality of the coat and the customer service received - and so is Dylan!" "Excellent quality waterproof dog coat and fab fit"
"Great coat excellent quality and fab fit on my newfoundland she is a big girl and it fits really well"
"The jacket is of excellent quality. Waterproof, and lined to keep Teddy warm. Very good price, and delivered on time. Would recommend Ginger Ted."